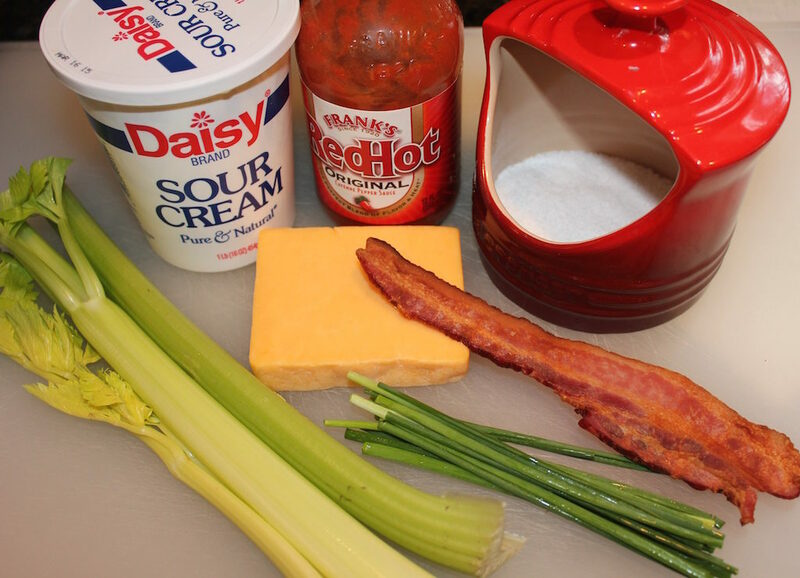 Use celery sticks to scoop up this Warm Cheddar Bacon Dip. The cheese needs to be soft enough to blend into the sour cream but not oozing. 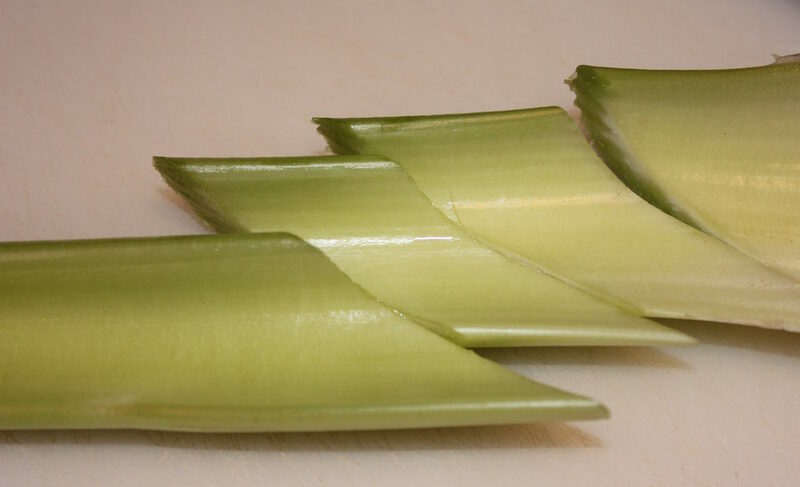 The contrast of the warm dip and cool celery is pleasant, the aroma of the bacon, cheese and chives enticing, and the crunch of crisp celery completes this snack or appetizer. Don’t wait for a party to serve this; have some ready for the kids when they get home from school! 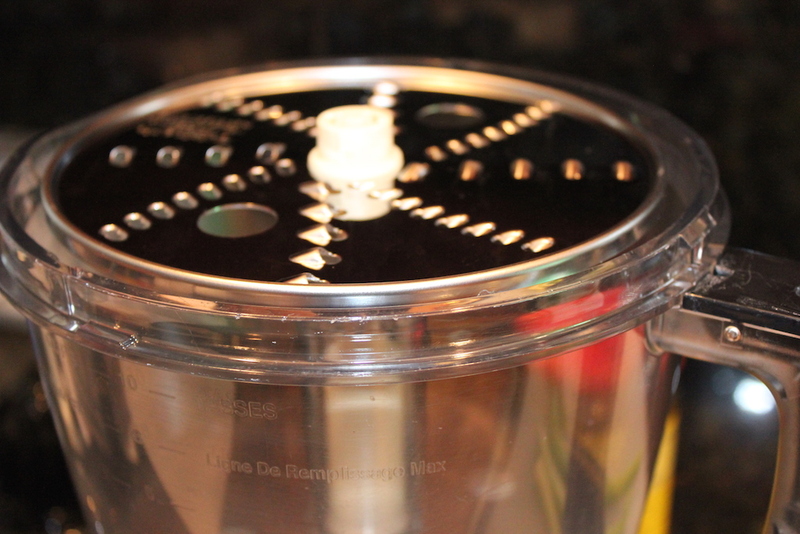 Shred the cheese with a hand grater or food processor. Combine the sour cream, Cheddar cheese, bacon, chives, hot sauce and salt in a medium-size, heatproof bowl. Warm the cheese mixture in the microwave for a few seconds. Just enough to soften the cheese. Stir to combine. Cut the celery on the bias. Cutting on the bias creates a “scoop” for holding the dip. 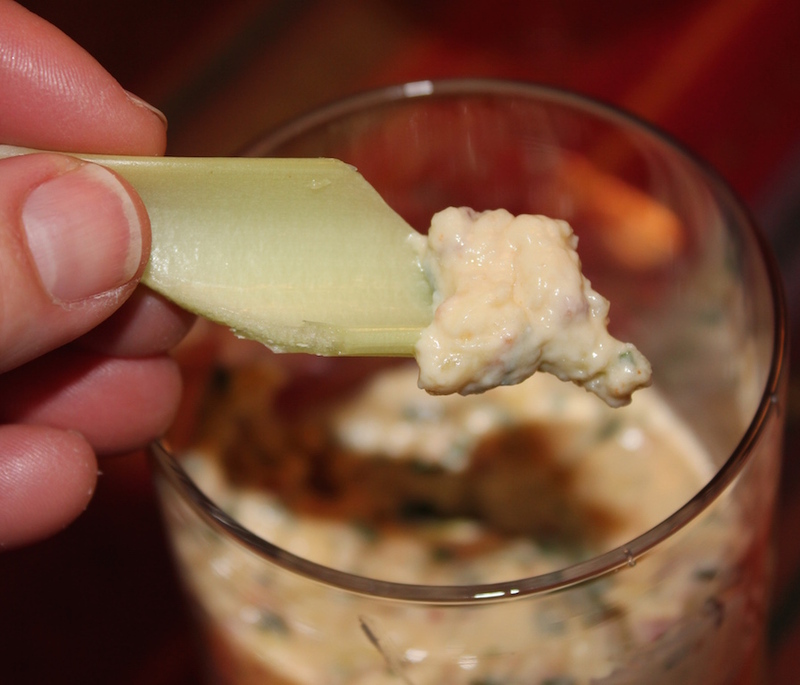 Use celery sticks to scoop up this Warm Cheddar Bacon Dip. The cheese needs to be soft enough to blend into the sour cream but not oozing. 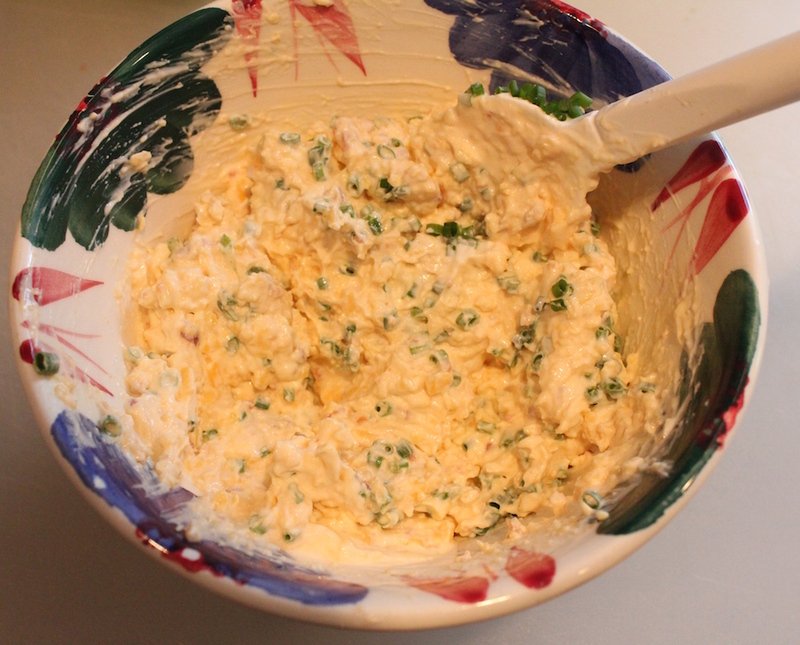 Combine the cheese, sour cream, bacon, chives, hot sauce and salt in a heat-proof bowl until creamy, about 25 seconds.